More than just a box that contains soap, the source of all knowledge(! ), Wikipedia, describes a soapbox as a raised platform on which one stands to make an impromptu speech. 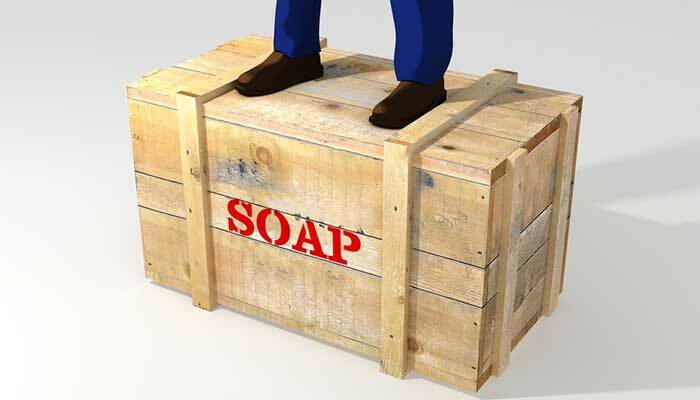 The term originates from the 19th and 20th century when street corner speakers in England would actually use old wooden crates originally used for the shipment of soap to elevate themselves and speak to a crowd about whatever subject was on their mind. Historically this was often a religious or political speech. Hyde Park in London is still known for its Sunday soapbox orators who have continually assembled since 1872 at what is known as Speakers' Corner to orate their views on a wide range of subjects. It’s rare to see someone today in Australasia physically standing on a wooden soapbox on a street corner, although it’s not uncommon to see people still standing on street corners proclaiming their version of the Gospel or orating their political viewpoints, just not on a soapbox. More commonly we’ve witnessed the growth of new modes of delivery of a soapbox speech. The rapid growth of opinions being expressed through the posting of blogs and other online forums bears witness to this. Particularly in the USA, Twitter is perhaps the most obvious online soapbox space with an opinion either needing to be written in 280 characters (increased from 140 in November 2017) or expressed with multiple tweets. President Donald Trump is perhaps the current champion of prolific tweeting to express his [sometimes controversial] opinions on, well, everything. Those of us who write articles such as the one you’re reading, have opinions, normally fairly strong opinions too, which is why we write about them. If you were to track through the articles that I write, you’d see some themes that come through regularly, which are the things I get on my soapbox about. These themes could be summarised as being about identity and contentment, which are actually closely linked. Finding our identity as children of God leads us to know the kind of contentment that Paul writes about in Philippians Chapter 4, verses 12-13. I could go on, but I’d be on my soapbox. You get the idea. In 1 Peter Chapter 3, Verses 15-16, Peter writes, “Always be prepared to give an answer to everyone who asks you to give the reason for the hope that you have. But do this with gentleness and respect.” It’s a super challenging instruction that he was writing to early Christians who were facing opposition and oppression for being followers of Jesus. Reading that passage invites us to ask ourselves the question, “Can we answer anyone who asks us about the reason for the hope that we have in Jesus?” Can we confidently articulate why we follow Jesus and why someone else should think about doing that? Finding an answer to that question will be personal to our own experience, but it is of vital importance to have an answer, because research over many years comes back time-and-time again to show that the best tool that we can have to evangelise our world is us, our stories and the observable changes that others see in our character because of how we’ve allowed God to shape us. For me, I’ll always talk about finding my identity in Jesus and about finding contentment in Jesus. I’ve tried many ways to find my identity in other things, but nothing comes close to what I know and what I have experienced because God so loved the world … here I go again, on my soapbox! The world needs more soapbox orators who are followers of Jesus, more people both young and old who have worked through their answer to the question posed to the early church by Peter. Maybe 2019 could be the year of the soapbox; whether that be in physical spaces where people gather or in online spaces where people trawl and interact. Both of these spaces have their advantages and disadvantages, but nonetheless, provide opportunities for meaningful dialogue and debate. So what would you say if you were to stand on a soapbox today? 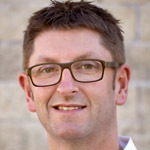 Grant Harris is a reformed banker who has been the Senior Pastor of Windsor Park Baptist Church in Auckland, New Zealand, for ten years. He’s also been the Chaplain to the SkyCity NZ Breakers Basketball Club for the last eight years. He loves hearing a good story, and give him a microphone or a platform and he also loves telling a good story, particularly about the difference Jesus has made in his life You can contact Grant at grant.harris@windsorpark.org.nz.